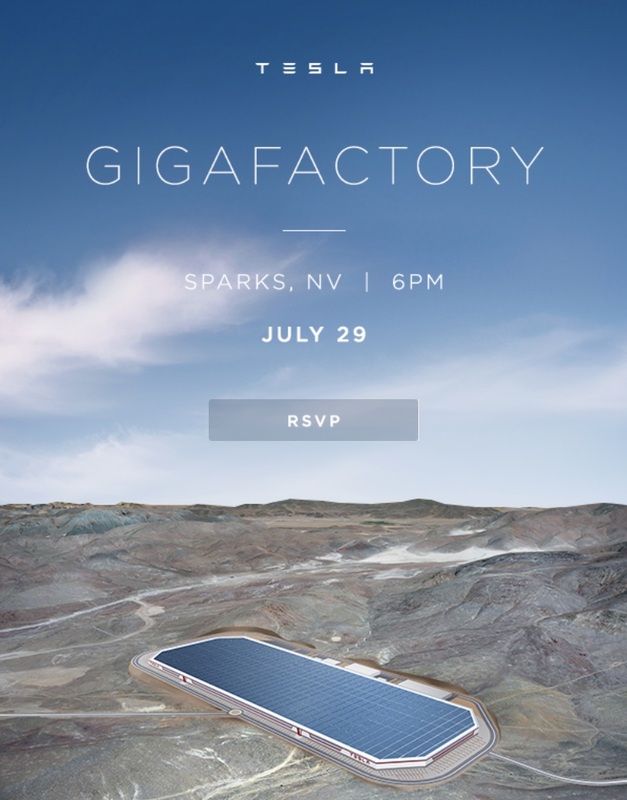 Invitations to the Tesla Gigafactory ‘Grand Opening’ event on July 29 have gone out and we have all of the details. 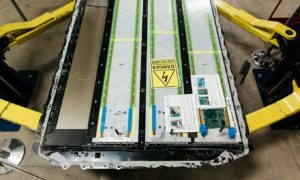 The event will take place east of Reno in Sparks, Nevada, home of Gigafactory 1, beginning at 6pm though guests are invited to Check-in as early as 5pm. For those staying in downtown Reno, Tesla will be providing complimentary shuttle transportation to the Gigafactory. Those who chose to drive down Electric Ave leading into the mega-sized battery plant will have access to valet service thought Tesla clearly states that ‘Charging will not be available onsite’ and recommends the Reno or Truckee Supercharger (photos) locations. 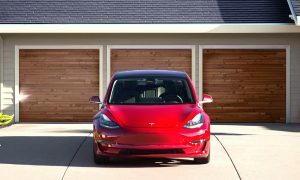 The official invitation sent by Tesla via email went out to existing Tesla owners that participated in the company’s fourth referral program by referring 4 or more qualifying sales. 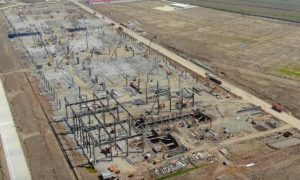 Attendees can expect Tesla to spare no expenses with the reveal of its highly-anticipated battery manufacturing facility said to occupy the largest footprint of any building in the world. 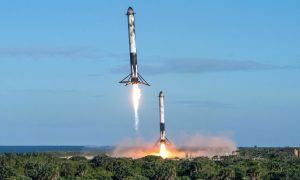 “One thing Tesla is good at is we throw good parties,” Tesla CEO Elon Musk has once said, which we can certainly attest to. Referral program winners and their guests will be assigned time slots on a first come first serve basis for a tour and ride through Tesla’s giant battery plant. 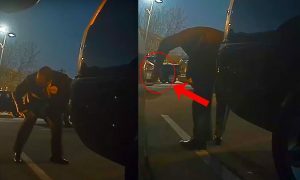 Tesla’s Model X reveal event received much criticism after attendees of the jam-packed event complained of disorganization and delays. The company would appear to have taken the advice in its follow up Model 3 unveil event by largely being on-time for its listed event activities. 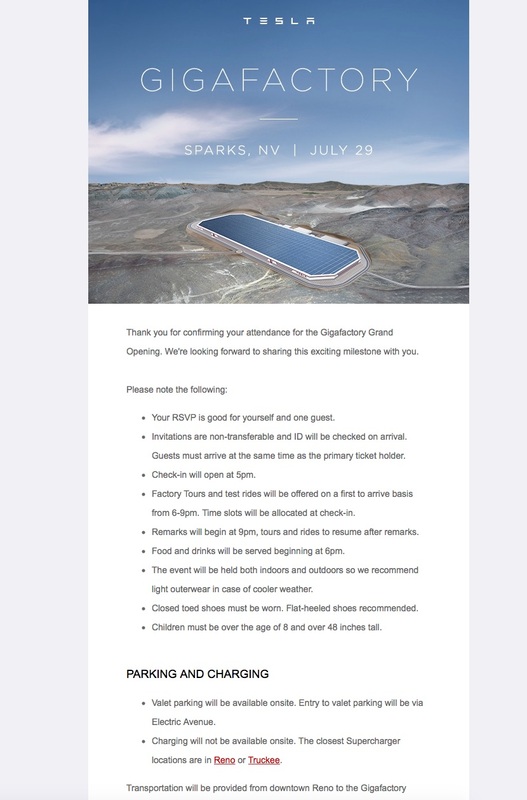 We expect the same for the upcoming Gigafactory Grand Opening event on July 29. Your RSVP is good for yourself and one guest. Invitations are non-transferable and ID will be checked on arrival. Guests must arrive at the same time as the primary ticket holder. Check-in will open at 5pm. Factory Tours and test rides will be offered on a first to arrive basis from 6-9pm. Time slots will be allocated at check-in. Remarks will begin at 9pm, tours and rides to resume after remarks. Food and drinks will be served beginning at 6pm. The event will be held both indoors and outdoors so we recommend light outerwear in case of cooler weather. Closed toed shoes must be worn. Flat-heeled shoes recommended. Children must be over the age of 8 and over 48 inches tall.